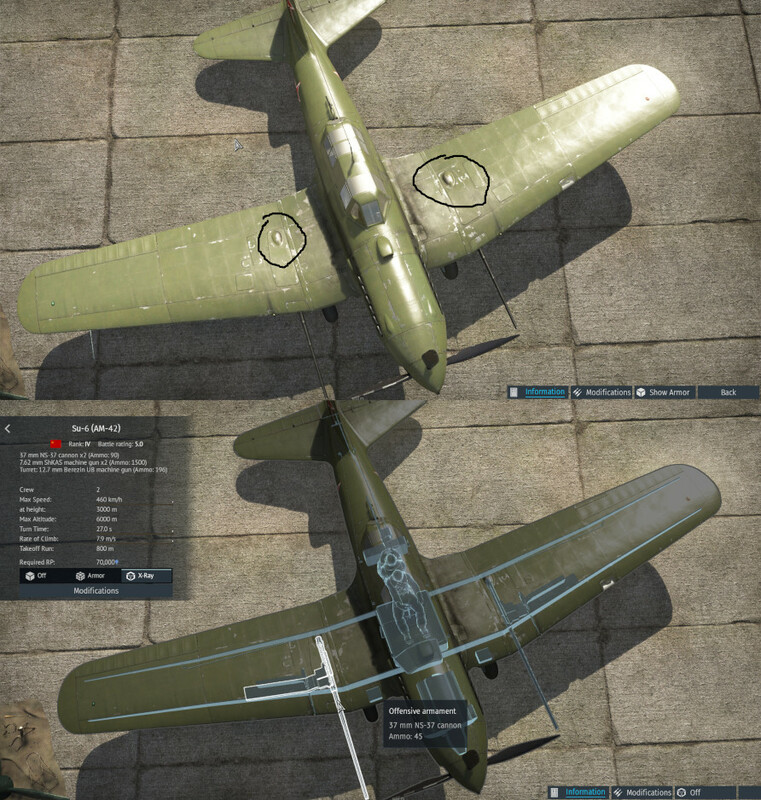 There is an online video game called War Thunder that lets you fly various planes from roughly the 30s to the late 50s. 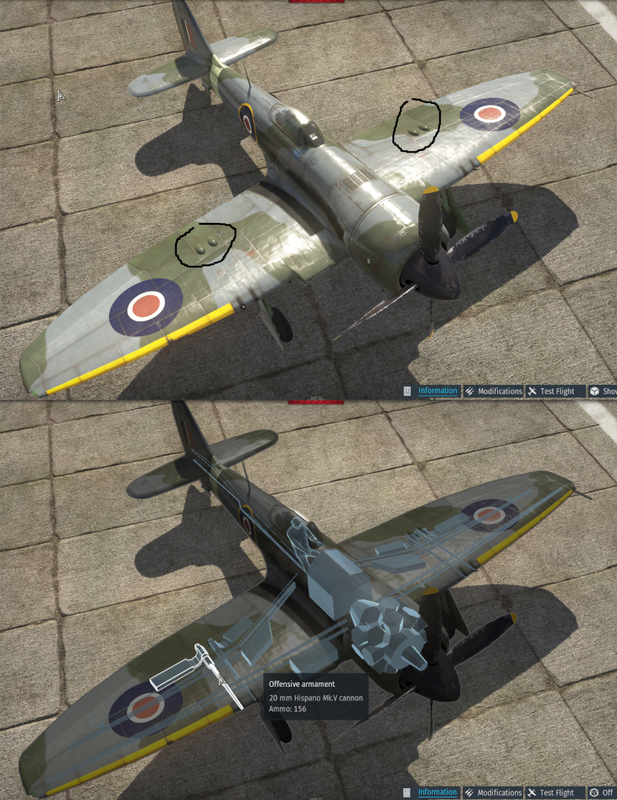 It has some pretty detailed models, and I've noticed these lumps on the wings of many planes. 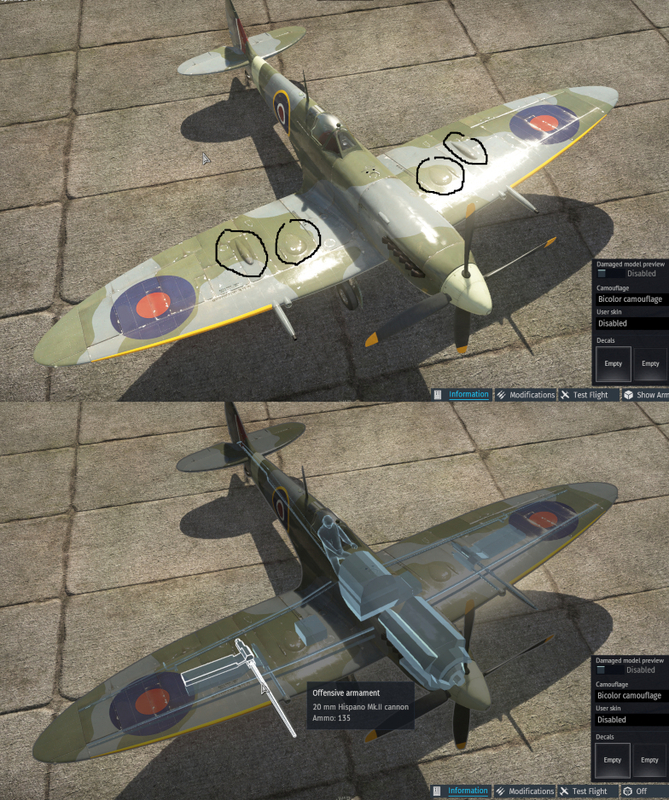 The planes are partly modelled on the interior and can be seen in what's called X-ray view. 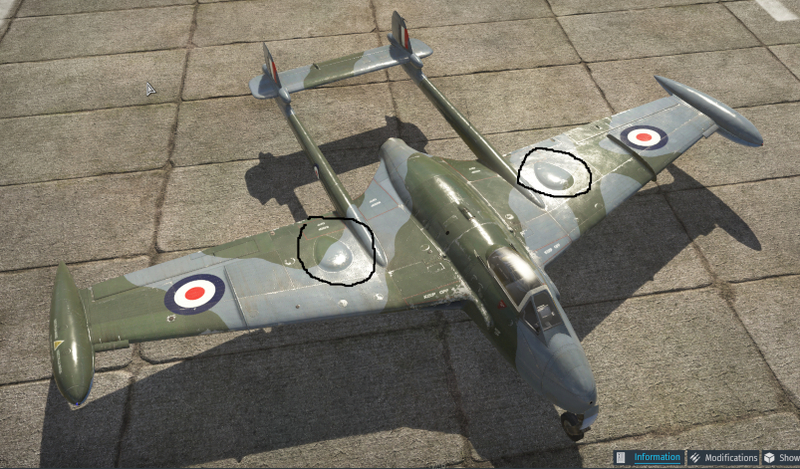 I've noticed that many of these lumps are placed right above where the base of the plane's gun/cannon is. This has led me to believe that they might be placed in these positions to cool the guns as air is swept over these lumps. But it turns out that in many cases these lumps aren't placed where the guns are and seem not to have this purpose. Here are some pictures of what I've talking about, I have circled them in black. Note that the last two planes are jets and have their guns mounted completely in the centre of the plane, on the nose (ie., there are no guns in the wings). 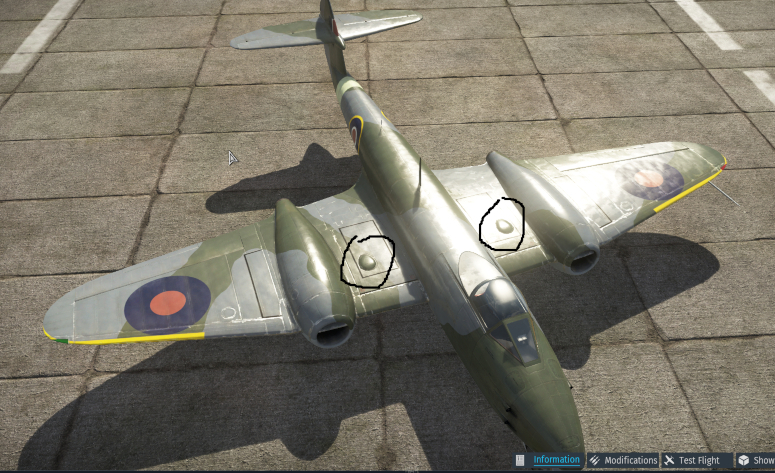 Also, I've noticed that for planes that have no guns mounted in the wings only British planes (in the game) have these, namely the two jets. I'm am wondering what the function of these things are, and what they are called, if anything? Do they serve an aerodynamic function or are they maybe to cool other parts within the wing? They are fairings for one thing or another that projects above the wing skin. Part of a gun or ammo feed system, fuel cap, wing fold mechanism, head of a big bolt, whatever. 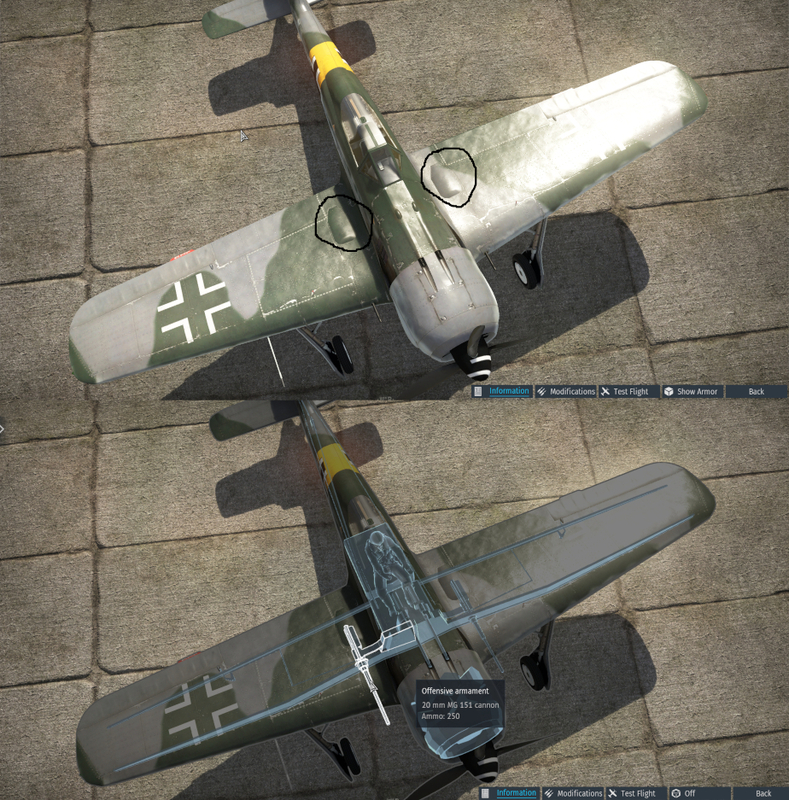 Usually, components are designed in the original versions of the aircraft to fit within the wing profile, but mods and add-ons later introduce bits that project beyond it, so the easiest thing to do is fair it in with a blister. Not the answer you're looking for? Browse other questions tagged aerodynamics wing feature-identification or ask your own question. Why do wings of passenger jet go dark during a flight? What role do the winglets on the next-generation 737 play? What are static discharges for on an airliner? What is the purpose of the small fins on top of the wing surface of Boeing aircraft? 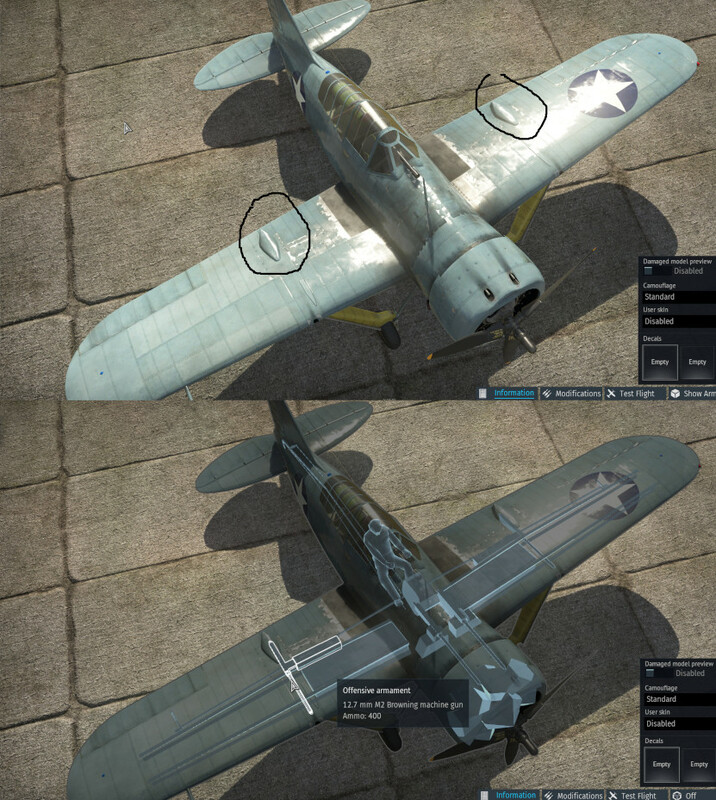 Are there any aircraft where the wings are swept forward of the cockpit? If both propellers and wings are airfoils, then why do propellers deflect air perpendicularly to the rotor, but wings not? 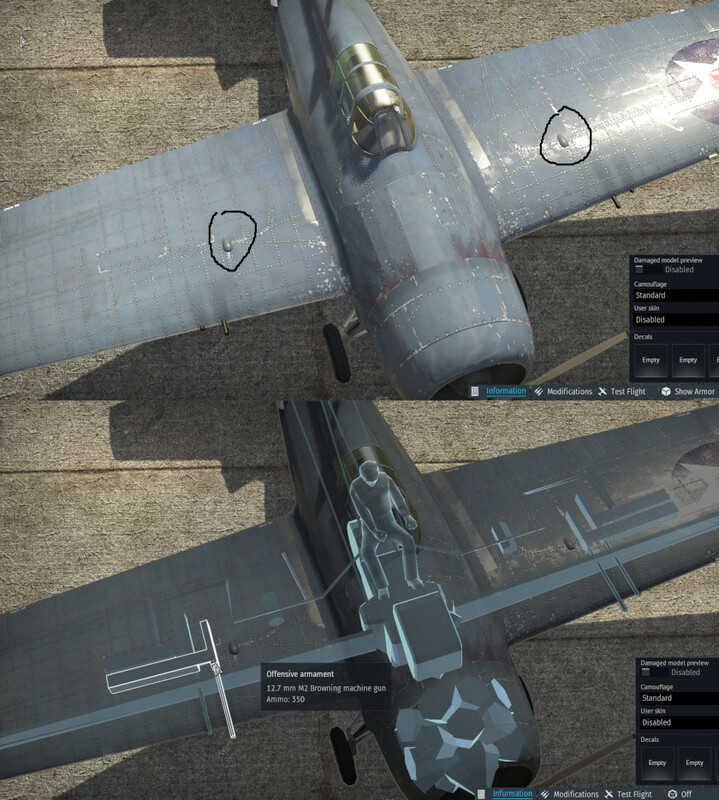 What are these openings on the TBD/TBM Avenger?